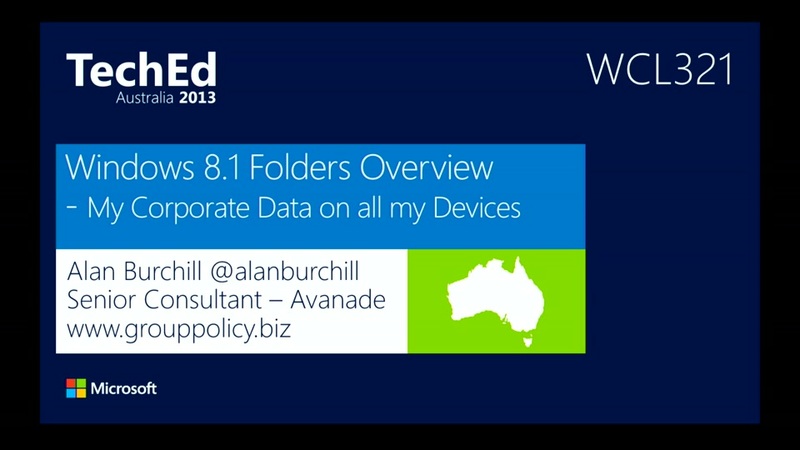 For those of you that missed my TechEd Australia session or if you were just not lucky enough to make a trip down under to see me speak in person my TechEd Australia 2013 session “Windows 8.1 Folders Overview – My Corporate Data on all my Devices” has now been published on Channel 9. So sit back and take in the goodness of Work Folders with the video embedded below. Hubert Lam liked this on Facebook. Miroslav Čačija liked this on Facebook. Göran Johansson liked this on Facebook.